Social media is alive and well in 2012. One of the biggest players going into the New Year is Twitter. Consider the fact that Twitter holds over 200 million active accounts and sees over 1.6 billion search queries per day. On Twitter, you can follow anyone from friends and family to big business and celebrities throughout the world. So what kinds of applications are out there for the Twitter user? If you have an iPhone or iPod Touch, then most likely you have already made a trip to the Apple Store to see what you could find. I’m sure you have found both numerous applications as well as numerous opinions about those applications. The key is finding the one that works for you. You may have thought that you found the application that was perfect for you only to discover when you went to try to use it that it just didn’t work to your satisfaction. 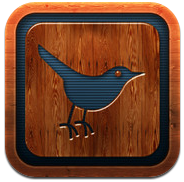 There is a great Twitter application known as the Tweet Time Application that works on devices that use the iOS 5 or above operating system. It is quick and will make your twitter experience a pleasant one. The app will pull directly from your Twitter accounts. It has been created basically for those tweets that are quick and are sent daily. It can embed a Google map with the location that you are at and that comes from the GPS coordinates of your device. It will tweet out a random inspirational text. You can tweet now playing information straight from your iPod including the artwork that is on the album. You can tweet to win iOS accessories along with future applications. You can tag a tweet with the location that you are at. The application will also support more than one Twitter account. In future updates look for the possibility that you will be able to upload images from the camera on the device or even the camera roll. You can’t go wrong as this application will only cost you a buck. 0 Respones to "The New Twitter Application - Tweet Time"